Branson's Televised Tour Guide Since 1989! Complete vacation and weather information 24 hours each day. Learn more about shows, shopping, attractions, and dining. Map segments to help you get around the area, history, and much more. Serving Taney, Stone, and Christian counties... remember to Watch Us First! 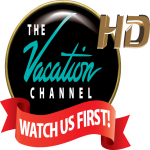 The Vacation Channel offers advertising sales, complete video production, graphics, animation, and more. Call to see how The Vacation Channel can help you grow your business! © Copyright 2019 Table Rock Lake Chamber of Commerce. All Rights Reserved. Site provided by MicroNet - powered by ChamberMaster software.